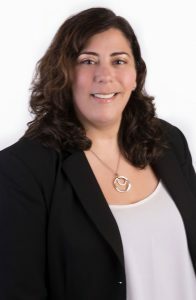 Samantha Katen joined Aylstock, Witkin, Kreis & Overholtz, PLLC in 2015. Ms. Katen received her Bachelor of Arts degree in Advertising and Marketing from Appalachian State University in Boone, North Carolina. She went on to earn her Juris Doctorate from Nova Southeastern University, Shepard Broad College of Law. Ms. Katen was a member of the Association of Trial Lawyers of America (ATLA), an organization that strives to help students develop their litigation skills. She also received an award for her pro bono legal service to the community. Ms. Katen’s prior legal experience includes legal research for the Inter-American Center for Human Rights, where she concentrated her efforts on violations throughout the Middle East. During her time with the IACHR she created and implemented an educational outreach program to area schools, ranging from elementary through undergraduate studies. This program was geared towards educating students of all ages and backgrounds on human rights and its personal and global implications. Ms. Katen gained clinical experience through an internship with Nova Southeastern Children & Families Clinic, as a Certified Legal Intern. As a “CLI” she was licensed to practice law under the supervision of a licensed attorney. In this capacity she concentrated predominantly on complex jurisdictional disputes involving UCCJEA, UIFSA, Hague Convention, and choice of law issues. Ms. Katen was appointed an Assistant Attorney General for the State of Florida, in Broward County. She represented the State of Florida in the prosecution of cases involving child abuse, abandonment and neglect. Ms. Katen was a lead attorney for the unit, a training attorney for the office, and a mentor for new attorneys entering the field of child protection. During her time with the Florida Attorney General’s Office, Ms. Katen was member of the special litigation unit, where she prosecuted cases of extreme and egregious sexual and physical abuse, where she gained extensive knowledge and experience in bench trials. Ms. Katen is licensed to practice law in the states of Florida, North Carolina and Colorado.